One of the most exciting moments of starting your business is your grand opening. There is an air of possibility, potential, growth and most importantly excitement. It is important to keep all of these feelings in check as you move forward to your big day in order to fill your potential clients with the excitement you are feeling and capitalize on this opportunity. Promote your business in the best way possible during its first live interaction with your future customers and its introduction to the world. In this handbook, we will focus on the essentials in planning your grand opening from preparation to the marketing of your event in order to keep it aligned with your online business. Your grand opening is a great way to also build relationships and partnerships that will be beneficial to your business moving forward. In saying this, we assume your online business already exists as your customers must be able to access your product directly after your event while it is still clear in their mind. If you haven’t built your website yet, here’s the quickest and most efficient route. This is the beginning of your brand creation and how your customers will recognize you. Building your Brand: Your grand opening event is your first opportunity to introduce your brand to the world. Make sure everything on your website is aligned with your promotion. Making business cards is a great idea as a take-home wallet-sized item for your visitors to bring home and a reminder for how they should contact you after the event. VistaPrint is a great option for this and they are also offering 25% off for event essentials currently, so you can package your business cards with flyers, posters (currently 50% off), brochures, car magnets, hats and more. These are all viable options to help spread the word and advertise your business in a way that it will remain ingrained in the mind of your new clients when they go home after your event, hopefully triggering them to visit your website and/or eventually contact you directly to learn more about and/or purchase your product. Create a Buzz: In addition to your marketing efforts listed above in building your brand, you need to create a buzz; create an excel list of emails you have (from prior businesses, friends, family, everyone counts). If you are an Outlook user, here is a good article on how to export your contacts: Outlook: Export Contacts. After you’ve compiled all of these contacts, get the emails you can from your LinkedIn contacts and put them all into your database – this will be your rolodex for your business when you are through. Then utilize one of these email marketing campaign services to spread the word. Design your campaign to represent your business. MailChimp: Mailchimp as also free to start and offers unique ways of advertising with Facebook (Facebook Advertising on Mailchimp) without any extra cost by Mailchimp; this is a nice perk for new business customers create their early designs and campaigns for free. Their pricing options begin at $5 and adjust on a sliding scale based on numbers of subscribers: MailChimp Pricing. Paperless Post uses coins as a currency to build campaigns through their website. A positive about this is the coins are exchangeable for premium content including designer cards, envelopes, liners and logos. Business cards; wheter you choose VistaPrint or another website, these are a must-have. GotPrint is also another cheap option starting with 500 cards at $8.50. Imprint Small Business Promotional Materials is a great resource for pens, markers and other small give-aways you can use at your grand opening. Pens for Promotion (pens are always a good promotional tool, everyone uses them and consciously or subconsciously, they will think of your business when using them). Pinnacle Promotions (Pinnacle promotions is a well-respected promotions company offering all kinds of apparel including hats, bags, drinkware, golf items and mobile accessories). Social Media Advertising: Social media advertising is one of the best ways to reach the millennial demographic; yet, the social media advertising method is becoming more and more universal for all age groups, races, demographics and so forth. Facebook is a great free way to advertise your business; start by making a page, inviting all of your friends and then creating an event; next, you can invest a small amount of money to increase the volume, learn more here: Facebook Advertising. You can upload promotional videos about event giveaways, interactive experiences, demos or even happy hours you plan on having. Instagram and Twitter are the other main social media platforms you should create accounts for your business on (these are free as well to start) that can help you to grow and spread the word for your business and event while you are starting off. Both of these platforms also offer cost-conscious advertising methods for businesses. Here are some tips to optimize your instagram budget: Instagram Tips for Marketing; here are some tips for advertising on Twitter and ways to start a campaign once you are ready: Twitter Advertising. Geurilla marketing is one of the oldest forms of marketing and it allows you to go out into the field and put flyers around locally. You can hire people to do this and put them in people’s cars, in local restaurants that allow you to do so as well as put them on lampposts in the street and on people’s houses or under doors in their apartment building. At the end of the day, if you can allocate your expenses to do so, I believe the best option is to utilize newspaper advertising and social media advertising so you are hitting on both fronts and attacking all of the possible age demographics to further your clientele. There is never enough advertising. Any and all ways you can advertise are worthwhile. Now comes the point where you must choose a venue to host your event. There are a lot of factors that come into play when choosing a venue for your event. Choosing the date is important because people go away at certain times of year more than others. If you are starting a spa or vacation service, it is better to host an event for this in the winter in New York because you know people want to go away somewhere warm at that time of year and it will hit home for them. There are positives and negatives to hosting an event during holiday season in December. Positives are that people are in a festive mood and are more willing to accept things, whether they are gifts or ideas or acoutrements they can provide to their family and friends, i.e a beer holder. Hosting events at the beginning of the year are good, especially if you are running a marketing platform of sorts or something to further a potential customer’s business because chances are they are they are planning for the year ahead. The venue, first and foremost, must serve as a space that will be a good representation of your business and what you want it to represent. Having an open space is something that is always important so you can fit in whatever demonstrations you need as well as a bar (if you are not hosting at a bar or restaurant) and food tables. If you are hosting at a bar or restaurant, you will need to balance costs of one venue to the next while considering what positive attributes each venue has compared to one another. For example, if you are in the suburbs is there car parking? Is one venue featured in more press than another giving you a better chance to get press for your event? You should certainly contact press before the event. If you don’t have success here, contact press again after the event. Do you have a happy hour or drink specials at a certain time for the event? It is essential to have insurance for the event whether you have your own or are built into the venue’s insurance policy. 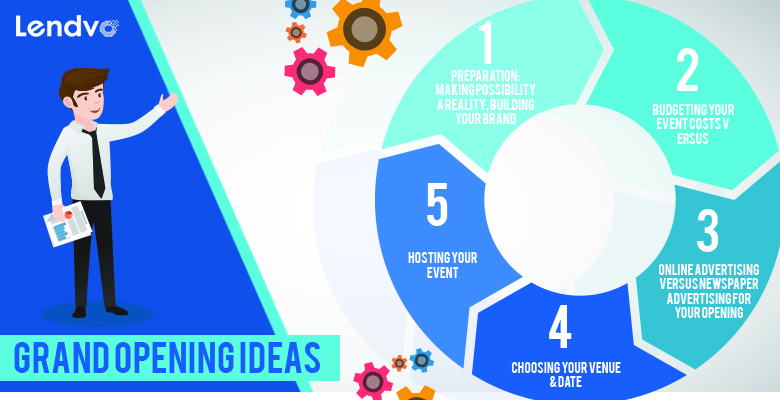 Here is an extensive article from Event Creative on choosing your venue: Event Creative – Choosing Space. Entry, Entry, Entry: When your guests enter the venue, you want them to be greeted in the best way possible; their entry to the venue and first impression is the first person they talk to and view of the space. There are options of hiring a staffing agency for this. One I have done work with that does an outstanding job is Radikel Events: Radikel Events; Radikel will take care of you having the best and brightest faces to represent your brand while providing creative ideas on making their entry and experience interactive. Making the Experience Memorable: Your goal is for your guests to have the most memorable experience they possibly can. There are ways to do this. As mentioned above, give-aways are a great option whether you choose pens or coasters with your logo, this is a way for your guests to remember you and to visit your company once they’ve gone home. The open bar, happy hour and free food give-aways are always a hit and will keep people hanging around longer, forcing them to converse with one another about your business, conceptualize and connect about its offerings. Interactive Experience: Whether or not you choose a company to help with the logistics of the event, you want to create some sort of interactive experience. For example, if you are selling a marketing platform, it is a good idea to have an information graphic up upon entry or near a communal space for guests to see something you have done for another company or some ideas you may have for future clients. Information graphs are also good things to have. Follow-Up: Following up through your email platform you have chosen and perfecting your website is key. A good way to start is to give things away to people as they leave the room so they remember their last impression as well as their first. Leaving the guest with something similar to what they came in with or something that embodies the experience they just had is always a great idea. Some other great useful follow-up ideas are sending postcards and offering a comp ticket to a show in a raffle; raffles get people excited as discussed in this article from chron: Chron Small Business – Raffle Ideas. At the end of the day, it is your business and you choose what to spend your money on, but the most important factors for your grand opening are the amount of people you get to attend your event and the lasting impression you leave on them. Of course, following up with your customers and reaching out to them after the event in addition to press is essential and no aspects of your marketing efforts should be overlooked. Running a small business is not an easy task, but if you plan ahead, budget your costs and adventure into the world of running a small business fearlessly, yet with caution, you will find success in your ambition and you will learn how to enjoy the process once you do find success. The road is not easy or paved the same way for any small business owner, but if you follow the steps we have given you here, we believe you will find ways to achieve the success you sought to find when you began the journey of owning your own small business and we look forward to accompanying you on that journey as you move ahead.